Waterfall Info: This is a stunning waterfall on Davidson Creek, a major tributary of well-known Panther Creek. The waterfall's name honors David Carswell, a forest ranger who grew up near the falls. Upstream from David's Falls is a scenic set of cascades about 10 feet high. 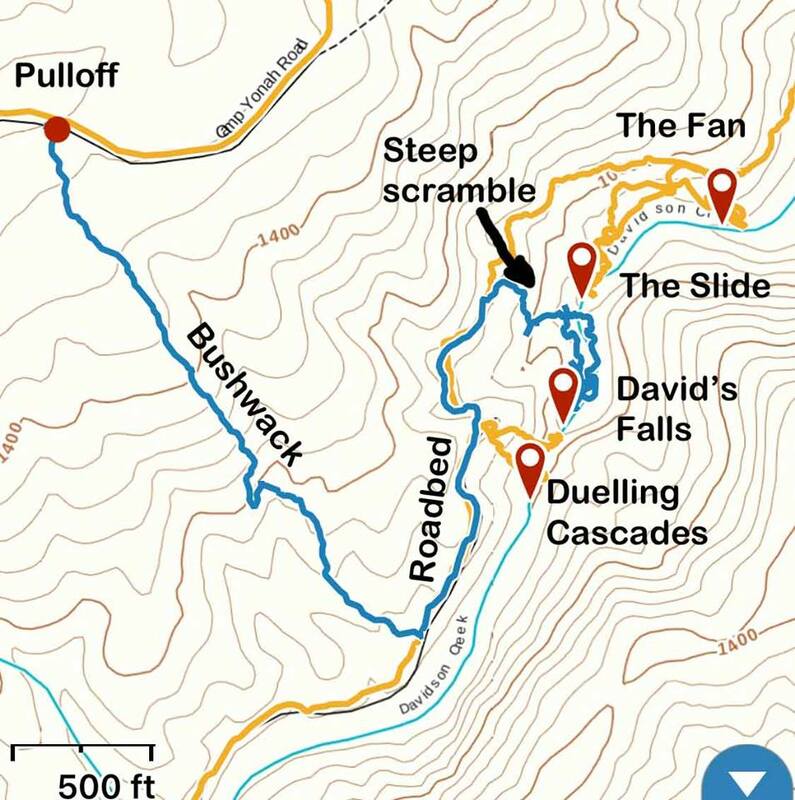 Downstream from David's Falls is a 20-foot slide/chute and a 10-foot fan-shaped cascade. 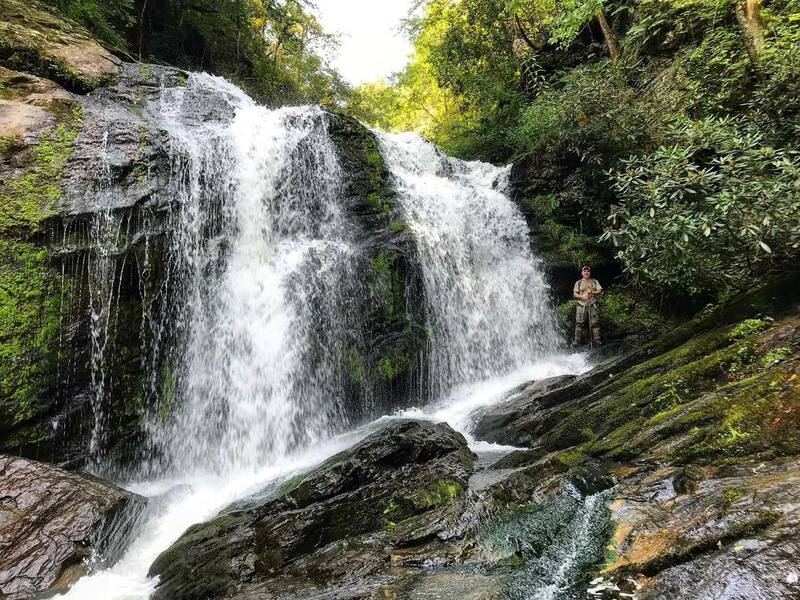 Access Info: This waterfall is accessed by an unofficial trail along old logging roads from Camp Yonah Road. 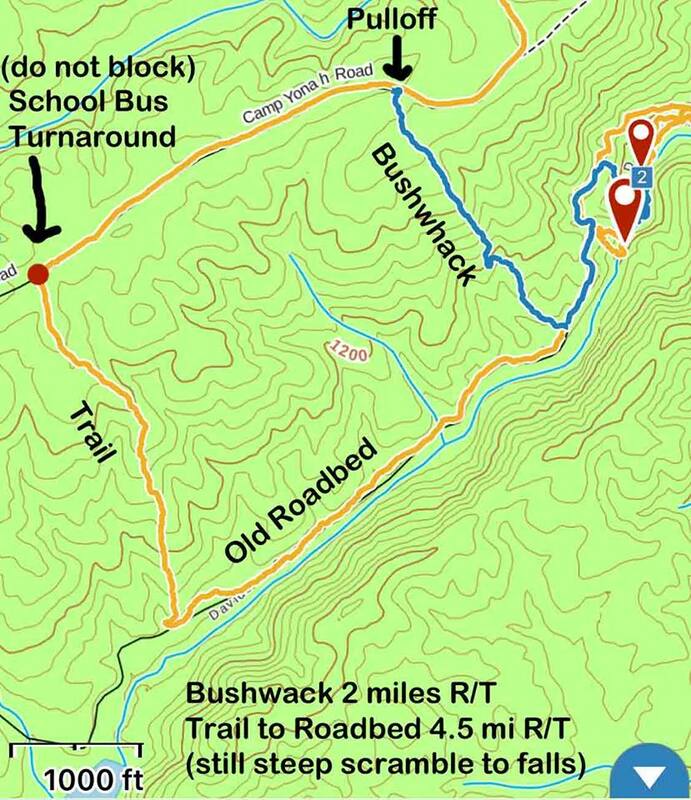 The hike is about 4.5 miles roundtrip. Reaching the base of the falls requires an off-trail scramble/bushwhack from the trail.